Eileen is one of our longest-tenured artisans; she has been here for thirty years! Her time spent in pottery decorating has been her favorite, especially painting our now-retired Keukenhof pattern. 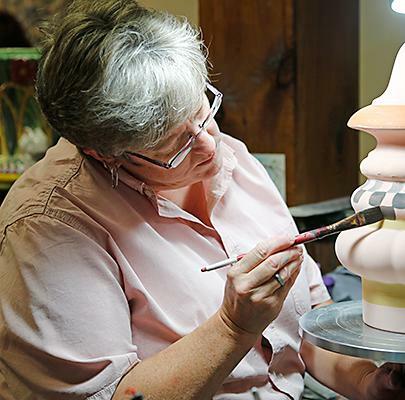 Before moving to painting, Eileen worked in our wax and dip department, where she applied a waxy liquid substance to terra cotta, preventing glaze from adhering to the clay in areas where the terra cotta will be left exposed. In her free time, Eileen loves to work on cross-stitching.